Celeb Gossip News – How to live longer – should you eat green or yellow bananas to avoid an early death? Eating a healthy, balanced diet – including at least five portions of fruit and vegetables a day – could lower the risk of an early death, according to the NHS. You could also boost your lifespan by doing regular exercise. It’s been described as “the miracle cure we’ve all been waiting for” by the NHS. But making some small diet or lifestyle changes could increase your life expectancy and raise your chances of avoiding an early death. Eating bananas is an easy way to boost your overall health, but their ripeness has varying benefits. Unripe, or green, bananas could help overweight patients to lose weight, according to dietitian Juliette Kellow and nutritionist Dr Sarah Brewer. Green bananas are rich in resistant staph, which helps people to feel fuller for longer. But, it loses resistant starch as it becomes more ripe, as well as gaining more natural sugars. 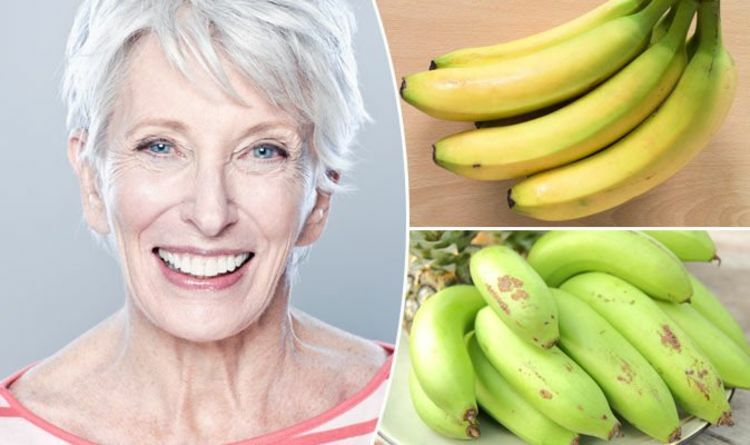 “Whether you like bananas slightly green or freckly, they all come with triple levels of mood-boosting powers,” they said in their book ‘Eat Better Live Longer – Understand What Your Body Needs To Stay Healthy’. “They are good sources of carbohydrates [fuel to the brain and muscles], and of tryptophan and vitamin B6 [both of which are needed for production of feel-good chemicals]. “Bananas are rich in a fibre called pectin, and unripe bananas also contain good amounts of resistant starch [starch that isn’t digested]. As the banana turns from green to yellow, enzymes work to break down the pectin, and the fruit softens. But, yellow bananas have higher amounts of antioxidants than green bananas, they said. If you prefer the taste and texture of yellow bananas, try keeping them at home in a bunch, or with other fruits. It helps to ripen them faster. Everyone should aim to eat between three and four bananas every single week, the nutritionists revealed. They’re a type of prebiotic, which provides food for the healthy bacteria in the gut, while also lowering blood pressure. The fruit could even protect against kidney cancer, they added. Eating at least four bananas every week lower the risk of kidney cancer by around 50 per cent.